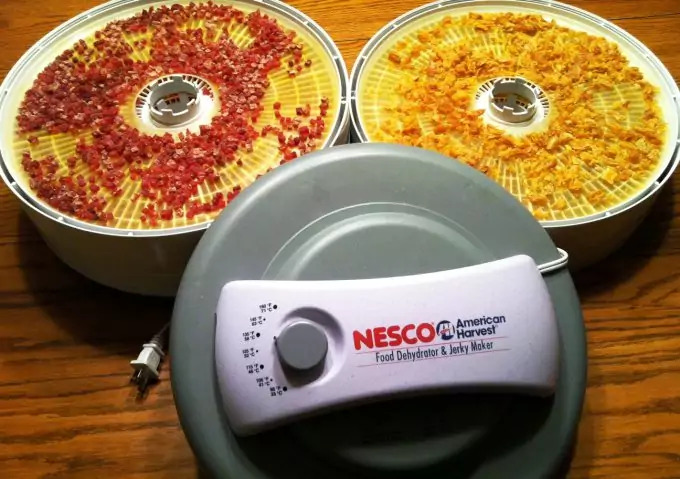 Dehydrating food has become a staple method for preserving food, practiced by survivalists, hikers, campers and communities in disaster-prone areas. 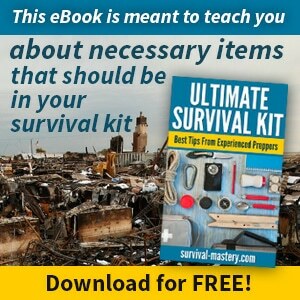 Some people may prefer to dehydrate their food in more primitive and basic conditions. Others embark on a journey to create their own dehydrators and a third category is made of people who don’t want to waste any time and directly purchase a dehydrating machine. In this article we will review some of the most popular and highly rated dehydrators on the market. We will give you all the details you need to know before you commit to a purchase, including manufacturers’ descriptions and customer reviews and comments. You will be able to compare the below listed dehydrators and determine which is for you based on your needs, budget and other personal factors. 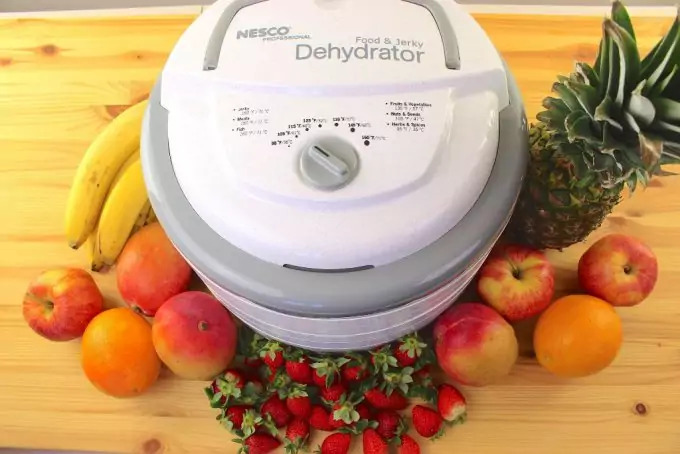 This is currently one of the most popular dehydrators on the market. It’s cheap and yet it works great with its 500 watts of power. The heat distribution comes from top to bottom, which is slightly different than most dehydrators. This doesn’t mean that it has problems working properly. In fact it is constructed so that the heat and fan (which is also attached to the top) evenly distribute the heat through all the 4 trays. Not only that, but the chambers are arranged in a way making sure that all the heat and moisture will escape evenly from the food. There is a top protective lid, which accumulates the moisture and there will be no dripping water on top of the top food layer. The trays can be adjusted easily and the dehydrator can accommodate up to 12 trays. Also, if you plan on dehydrating larger and bulkier food you can arrange the trays so that you have fewer trays, but more space between them. The size of the Nesco dehydrator is moderate and can be accommodated in any kitchen counter. Its measures are 13.5 to 9.45 inches. Furthermore there is the option to regulate the temperature inside the dehydrator, so that you can dehydrate a wide variety of foods – from fruits and vegetables to meat. The temperature is adjustable between 95 to 160 degrees F. Some customers claim that making meat jerky took them around 9 hours. 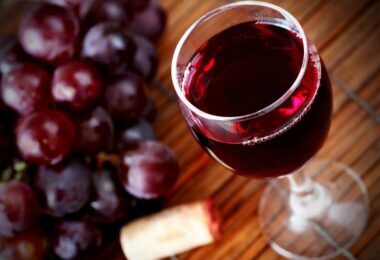 Of course, dehydrating fruits takes slightly longer due to the higher amount of water – about 10 to 12 hours. 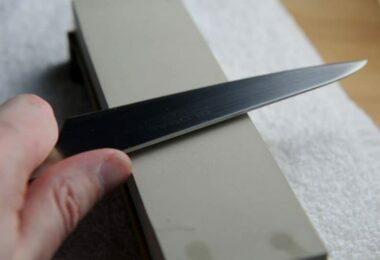 It is even possible to dehydrate purees, due to the design of the trays to prevent from spillage. The machine is quiet and can safely work at night. Nesco also has an Opaque Vita-Safe Exterior making the possibility of preserving the food qualities and nutrients. For the price range of $40 to $50, it is no surprise this dehydrator is a top selling machine on the market. As the name of this dehydrator suggests, this machine is a step-up from the other competitive products. So, when it comes to heat distribution, this machine pushes the air in a horizontal manner, thus ensuring that all the trays will have even air flow. It is often a problem among customers that their dehydrators do not use such optimized ventilated mechanisms and users have to check on their food now and then. With this model this is not the case, exactly because the horizontal distribution (due to vertical air pressure) makes sure no rotating of trays will be necessary. Waring Pro has 5 built-in trays. If you need more trays you can purchase additional 4, so that the model can accommodate up to 9 trays. Just like the previous model this one will save you some counter space, so no worries about it being too large. It isn’t. It’s also relatively light – 9.6 pounds. One limiting and thus lacking option is that there is no timer or thermometer to check on the temperature inside. There are only the options of low, medium and high. 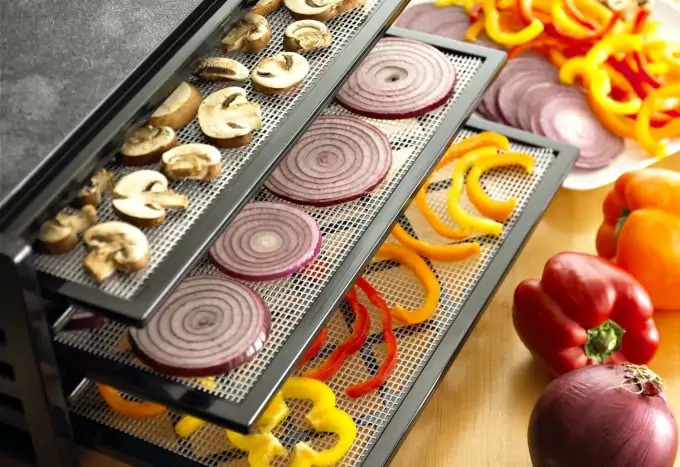 Otherwise, the manufacturer claims that the dehydrator’s lowest and highest temperatures are respectively 110 and 175 degrees F.
Otherwise, the dehydrator has a 620-watt capacity, which makes it slightly more powerful than the previous model. You can safely dehydrate fruits and vegetables with high water content (like tomatoes) for 3 hours, according to some customers. Bananas take up to 7-8 hours. You can dehydrate even milk and make milk powder. 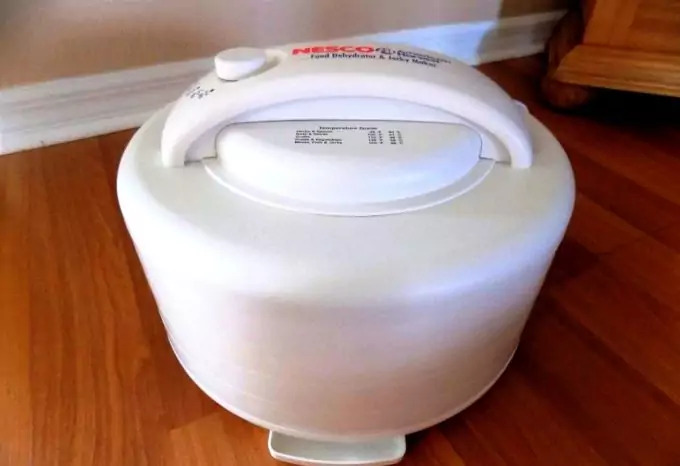 This Nesco model is prices slightly above the first model in this list, and it has a few downsides, but also positive sides. It uses a vertical airflow and it is true that the top placed foods may dry quicker than the bottom placed. This is because he fan is placed on the top of the dehydrator. Often some customers decide to switch tray positions and place those initially on top to the bottom and vice versa, to help with the even dehydration. The tray comes prepackaged with 5 trays with the option to add 7 more. Also, the model comes with a thermostat (but no timer) and it can be set within the range of 95 to 160 degrees F. It also works quietly and emits very little noise. This model also has additional dehydration sheets – two mesh, solid and fruit sheets. You will also find instruction manual and a recipe book with the dehydrator. Surprisingly, the machine doesn’t have a turn on and turn off switch, so this means you have to do so by plugging in or out the cable. This dehydrator is ideal for people who do not dehydrate food on a daily basis and are beginners in the field of dehydrating food. The price is affordable and can accommodate any beginners’ needs when preparing your dried food. The Presto dehydrator is sold for a very affordable price (about $40) and yet this doesn’t mean there are less features. In fact, it’s the opposite. Its capacity is 600 watts, weighs barely 7.5 pounds and includes all sorts of sheets and recipes. Unlike all the above models we looked, this one has a vertical air flow from bottom to top. As we mentioned earlier, vertical air flow doesn’t dehydrate the food evenly (like the horizontal airflow), but nonetheless it’s a widely used technique. You will simply have to rotate the trays once or twice. Presto 06300 comes with 4 trays and its capacity can be improved to contain on total 8 trays (you need to purchase 4 separately for this option). Also, the lid is transparent and you can monitor your food without having to actually remove the lid. This feature really makes the process more fun as well. The noise coming from the dehydrator fan is barely noticeable and no customer reported to be bothered by it. There is no timer, which is a downside. Also there’s no thermostat, which may be probably the biggest negative element to review. 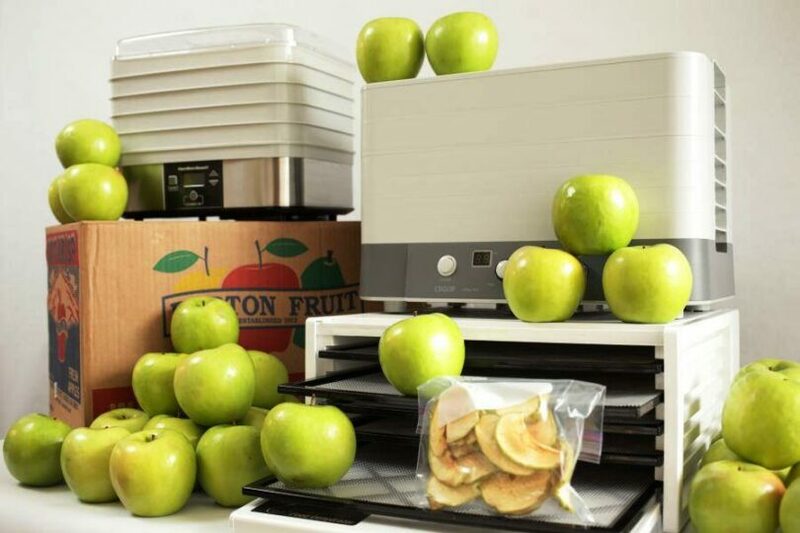 On the other hand, the dehydrator is set to automatically regulate the temperature, which varies from 135 to 145 degrees F. It definitely offers a less wide range for food options to dehydrate, but if you dehydrate fruits, they will definitely be ready much sooner than on a lower temperature. It’s true that some vitamins and minerals will not be preserved, but for the price of this machine, the above features justify it. This is a very basic dehydrator and can be recommended to anyone who has never used a dehydrator before. It gives you the freedom of not having to measure all the time the temperature, so within hours your favorite foods should be ready with as little action from you as possible. This model by Nesco uses a horizontal airflow, which can be said to be one of the greatest features about it. It uses Converga Flow system (just like the Nesco FD-60 model), which creates air pressure so the hot air is evenly distributed among all trays at all times. There’s no need for you to rotate or monitor the dehydration process in regards to this. This model also has a fan on top of the dehydrator, so you shouldn’t worry about drippings on the mechanism. This also will make it easier for you to clean later. The square shape makes sure that you will have a bit more space for food on all the built-in 4 trays. If you need more trays, the dehydrator can be expanded to have 8 trays. Its capacity is 700 watts so it’s a powerful dehydrator in comparison to the above listed. Also, due to the horizontal air distribution, you will be sure not to have flavor mixing among the food, so don’t worry if you want to dehydrate different types of food. This model, like most of the above, doesn’t have a timer, but has a thermostat, which can be set to as low as 95 and up to 160 degrees F. Many customers don’t find the lack of a timer to be annoying. Many of them use the oven timer or even buy a small kitchen timer to accommodate to their needs. Excalibur is one of the top manufacturers and most preferred among clients. They definitely offer high quality for the prices of their products. It is true that if haven’t planned on spending more than $200 you may have to turn to the other brands we reviewed here. Be aware though that, this machine is slightly bulkier than the above mentioned so you have to carefully plan some space for it. It is a definitely more advanced model than the previous and this is why its design isn’t as appealing as some of the Nesco white oval models. Excalibur 3926TB is much more appreciated among experienced clients who had already some in-depth knowledge in food dehydration. As this is a professional model, it uses a horizontal airflow distribution, which, as already explained, helps in evenly drying your food, with no need for rotation of the trays. The fan, unlike the above dehydrators, is located neither to the bottom, not to the top. It’s placed to the side instead. The cooler air goes right through the fan, which distributes it straight to the heating system, which at last pushes it among the trays. Another exceptional feature is that it has 9 trays built-in, which amounts to a total of 15 square inches of space for dehydration. Yet another great feature is the Excalibur Hyperwave Fluctuation Technology. It is especially designed so it can preserve all the important nutrients like minerals, vitamins, and the fragile enzymes, in your food. Unlike the above models, this one also has a timer and a thermostat, so it gives you full control over the dehydration process. Finally, its power capacity is 600 watts. Unfortunately, it’s non-expandable and you can’t add more trays. We believe having 9 trays is perfectly fine as they will be enough even if you need to dehydrate large amounts of food. It’s a highly recommended product as long as you want high quality and full control over your machine. Then the high price is justified. In case, all of the above features are some you would hardly need, some of the previous models will suit your needs best. Yet another Nesco model, this one is a mid-range dehydrator and is priced at no more than $100. It also uses a horizontal air distribution so you’ll be sure that your food will dehydrate evenly and in a timely manner. On rare occasions some customers report a slow dehydration process for bananas, but again, this situation occurred rarely. Also, the dehydrator uses an air pressure technique which pushes the air straight to the bottom of the machine, ensuring the even distribution of heat and the quick process overall. The machine comes with 5 trays and can be enhanced with up to 12 trays total. Since the tray offer a temperature range of 95 to 160 degrees F, you can also use it to raise dough (which requires low to moderate heat). To do that you will have to remove some of the trays or even just leave one and use it for the dough. Trays are all adjustable. It is also easy to clean, as it is dishwasher-safe. We must also mention that it’s entirely opaque (Opaque Vita-Safe casing) and thus protects the food from any outside light. 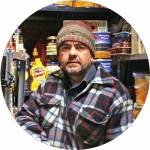 Usually to preserve the nutrient content of any food it needs remain in a dark place. So, this dehydrator will be definitely for you if you’re also looking to preserve all the food’s qualities. Along with the dehydrator itself, you will have a jerky gun, 5 cures, 3 tips and several packets of seasoning. Not only that, but included are a recipe book and a clean-a-screen to help with the cleaning process afterwards. 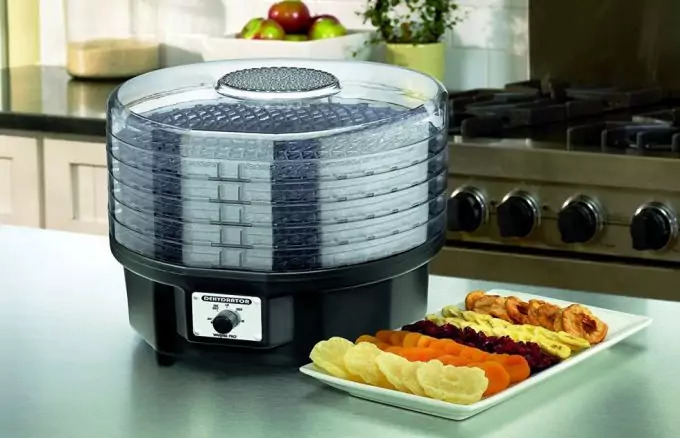 You will also be happy to know that the plastic this dehydrator is made of BPA free, so you’ll definitely be on the healthy track if you purchase it. It has a slightly lower wattage (500 watts), but the difference to the previous dehydrators is minimal. Excalibur’s dehydrator is a smaller version of the Excalibur 3926TB and much more economical, as it’s priced below $200. It also uses a horizontal distribution process, so the food will be equally dehydrated when the time limit is over. As the name of the model implies – it is economical and has only 4 trays. If you’re a fan of the Excalibur brand and its products and you’re a beginner in the field of food dehydration, you will definitely be pleased with this purchase. It also has a thermostat, which can be set to as low as 95 degrees and up to 155 degrees F. It also works quietly and the noise is hardly noticeable, thus it will not bother you if you leave it to work during the night. Unlike the professional version, this one doesn’t have a timer; but again, you can prepare a simple kitchen timer or simply use the (microwave) oven. This Excalibur model is also covered by a 5-year limited warranty. Most dehydrators on the market are offered with only 1-year warranty. The only drawback is that it has a lower wattage – 220 watts, but it can still manage within reasonable time limits to produce well-dehydrated food. For the price range of $100 to $150, and all of this model’s features, you will be definitely pleased. It is considered a budget product for the value you will get. The air flow distribution is horizontal, which is the best technology on the market. The Patented Converge Flow is the method used by Nesco to ensure even hot air distribution. This technology pushes the air through a pressurized chamber, which makes sure to push the air straight to the center of the dehydrator. With this method the hot air is delivered evenly across the food trays. It’s also great for customers since they won’t have to check the food now and then and even rotate the bottom and top trays. Originally the dehydrator packs 4 trays. Nonetheless it can be expanded to accommodate up to 20 trays. This is definitely a great feature many customers are looking for and the price of this model will no longer seem high. Another nice surprise for clients is that it has a Control Panel display on the lid. You can set your timer to up to 48 hours and adjust the temperature according to your needs (90 to 160 degrees F). The lid is also sports the Nesco Vita-Safe Exterior, which preserves the food properties and all nutrients from the outside light. You will also receive a recipe book, several no-spill sheets, packets and cures, clean-a-screen to use for more fragile products like herbs. It’s a powerful 1000-watt dehydrator, so you will expect to have slightly more noise as a result. Some customers complain about it, but after all there is no perfect product. For the given price, this Nesco model is great for both beginners and experienced users. One more time, another Excalibur model and it again uses the horizontal air distribution method. The manufacturer also uses an Excalibur Parallex Horizontal Airflow system to ensure that your food will dehydrate in a timely manner. Just like Excalibur’s other two models in this list, the fan is located to the side (to the back, to be precise) an not to the bottom or top. This means that the dehydrator draws in cooler air and before it reaches the food it goes through the heater and gets warmed up. This dehydrator is also larger than most of the above, giving you 15 square inches of space for your food. It also weighs much more – 22 pounds. Thanks to the large surface space, and the overall 9 trays, you will be able to dehydrate large amounts of food at a time. With its 600 watts it does produce more noise than some other models, but most customers find the noise to be in tolerable range. The dehydrator also has a thermostat from 105 to 165 degrees F. It’s also adjustable, so you can set your temperature according to what food you dehydrate. Like other more economical models, this one doesn’t have a timer, but it’s only a very minor drawback. All the above dehydrators are among the best, highly valued among customers and offered at affordable prices. While some are more entry-level machines, others are much more suitable to experienced customers, thus the price ranges from the economical $40 to the $250. Still, before you make the purchase, you will have to learn how to properly dehydrate food and we have a great tutorial with all the necessary information, in this article. Nonetheless, even if you’re prepared to pay the higher price you will definitely get a high quality for your money’s worth. Also, if you take good care for your dehydrator it can last for years before anything gets damaged.